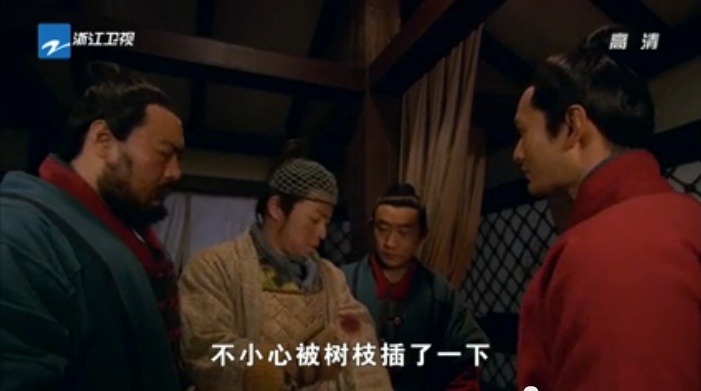 General Zong’s advisors tell him that Yue Fei needs to be executed, as an example of the law. Yue Fei is imprisoned, and Bro Squad pleads with General Zong. A crowd kneels outside to beg General Zong to get rid of some menacing bandits (again?!). When Bro Squad visits, Yue Fei tells them that his only regret is that he can’t go home to his mom (seriously?! What a momma’s boy). Yue Fei is summoned to kick out the bandits. General Zong’s subordinates plot to kill Yue Fei while he’s on his mission. Yue Fei and Bro Squad celebrate Yue Fei’s temporary escape from death. However, everyone sombers up when they hear that Yue Fei will only have 100 men with him to take on the tens of thousands of bandits. Aw, bromance is so precious. Meanwhile, the 1st Jin Prince hears of the recent death. He’s a bit irritated (and no, this is not an understatement). 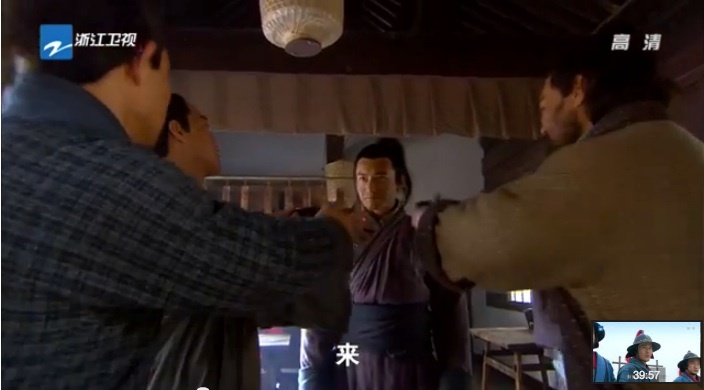 Yue Fei completely rejects Zhang Yong and tells him to leave. Poor guy just told you to be real – don’t fight to the death. If you can stay alive, there’s still hope. Aw, Nephew Zong comes with good wine and more troops. Yue Fei goes to see General Zong, who warns him about the tricky terrain. Yue Fei also refuses the offer of more troops. He said that he promised to defeat the bandits with 100 men, so he’ll only bring 100 men. Ack, two men make moves on Zhang Yong at a roadside tea stop. Your turn to shine! Wait, no don’t just escape! Okay, Zhang Yong is a smarticles and manages to escape. Some bandits plot their movements. I think there’s some bad guy alliances going on again. They meet with Jin, and whaddya know, gold is involved again. Aw man, bad guys infiltrated General Zong’s ranks too? Teehee, Yue Fei is missing Xiao E. He’s holding the belt that she embroidered for him! Cue flashbacks. He writes a letter to his family, telling them not to worry for him. And LOL a dirty Zhang Yong walks in. 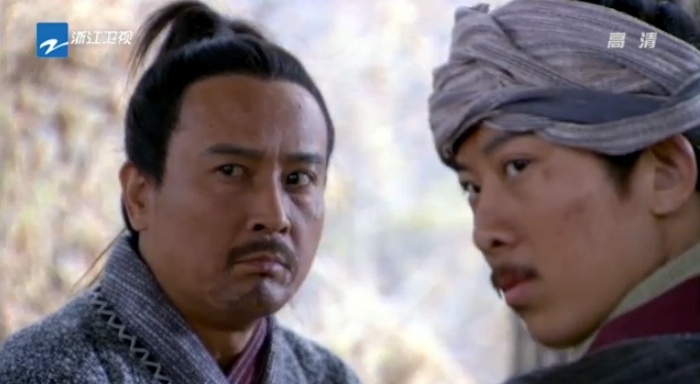 Yue Fei just looks at him like he’s a naughty little brother. No favoritism for bros. Bro Squad is super happy and giddily plans a sleepover. Yue Fei scolds them and tells them to sleep early. 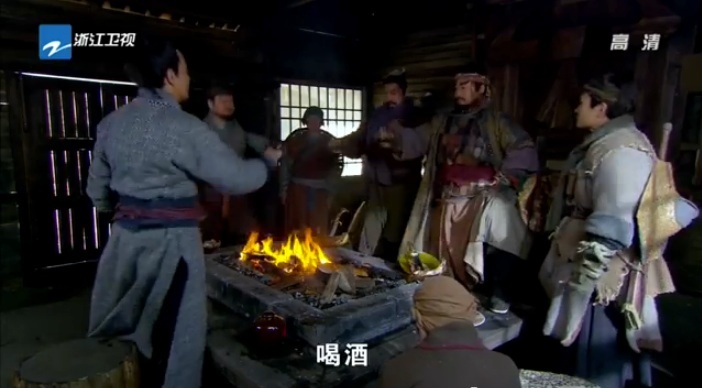 Our baddies meet and laugh about how the 100 people given to Yue Fei were thoughtfully chosen. Yue Fei and team worry over the twisted terrain. Yue Fei’s plan is to send in a spy in order to understand the exact locations of the bandit camps. He smirks at Zhang Yong. The 100 soldiers are lazy and unprofessional. Time to put Yue Fei’s leadership skills to the test! Haha, for now, our Li Kui lookalike (I’m just gonna call him Tie Niu – or iron ox, which was Li Kui’s nickname) tries to manhandle the soldiers into standing in formation. 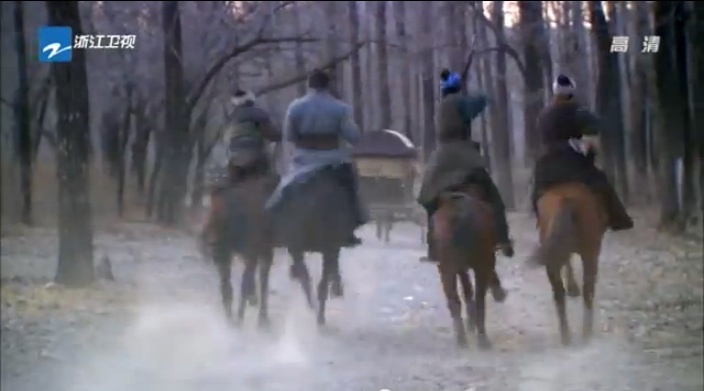 Yue Fei gives the soldiers the option of leaving, and almost everyone leaves. He tells everyone to show up for training the next day. I don’t think Yue Fei actually learns his lesson, ever. If he’s always given an opportunity to use a military victory to get out of punishment, he’ll never learn! He’ll just always use his own brand of force and act upon his own moral compass. My favorite heroes are the ones who aren’t so morally upright and self-righteous. Undercover spies who’ve got a mean streak are my kind of people. Allow me to direct everyone to a recently airing Korean crime drama: Cruel City. Once you see Jung Kyung Ho’s performance….case and point. (By the way, may I recommend http://dr-myri-blog.blogspot.com/ for all your recap needs?) Okay, sorry I can’t be advertising other dramas here in this recap. What I mean to say is that I like the pace of the drama. The plot is always moving forward. I guess since this is Yue Fei that we’re talking about, there’s less talking and more acting. I’ve got to give it to him, rashness incurs immediate consequences. Good plot device. This entry was posted in Chinese Dramas, Drama Recaps/Reviews, History and tagged 精忠岳飞, Episode 8, Huang Xiao Ming, Jing Zhong Yue Fei, Patriot Yue Fei, Recap. Bookmark the permalink.